The Crocker Art Museum’s new Global Rhythms series seeks to help Sacramentans get out of their musical comfort zone by hosting a slew of world music concerts. Next up is renowned bassist and bandleader Babá Ken Okulolo on March 28. Born in the Nigerian Delta region to a family of traditional dancers and musicians, Babá Ken has played with Afrobeat legend Fela Kuti and toured around the globe with Nigerian singer-songwriter King Sunny Adé. He’s now based in San Francisco (he’s headlined both the Fillmore and jazz mainstay, Yoshi’s), and runs a total of four different bands. At the Crocker’s show, he’ll be jamming with the Nigerian Brothers, his traditional folk outfit. As the title of their debut release Songs from the Village suggests, the Nigerian Brothers are all about doing justice to Nigeria’s long musical history. 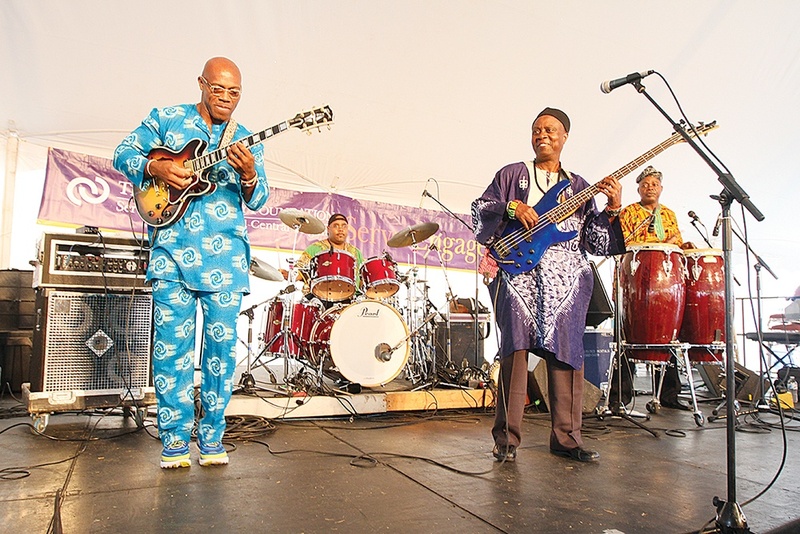 The band draws most heavily from “highlife,” a genre that brings western instruments and flavors to Ghanan and Nigerian folk rhythms and melodies. The result of this fusion is a bright, upbeat style that has basses and guitars strumming alongside singing drums and shekeres (a percussion instrument consisting of a gourd with a net of beads). Babá Ken’s goal as an artist and teacher is to uplift people, and get them moving, too. As he says, “In Nigeria, music is created to help people rise above the trials of daily life, to transcend all evils with the joy of music.” The concert begins at 6:30 p.m. Tickets for non-members are $20, but $10 for members. To purchase, or for more info, head to Crockerart.org.